What may come as a surprise to many Scottsdale luxury home buyers, including those from outside Arizona, is they’re not automatically represented in a real estate transaction. What may come as a surprise to many Scottsdale luxury home buyers, including those from outside Arizona, is they’re not automatically represented in a real estate transaction. Without an Arizona exclusive buyer’s agent representing the high end real estate buyer, the buyer’s interests are compromised because the listing agent represents both the seller and the buyer, placing Scottsdale luxury home buyers at extreme risk. 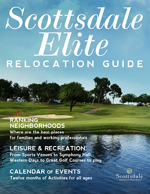 The role of the Scottsdale Buyer’s Agent is to ensure full representation and protection. In order to optimize their search for Scottsdale luxury real estate, Scottsdale luxury home buyers must have the exclusive representation of a Scottsdale luxury buyer agent, the kind uniquely provided by Exclusive Arizona Buyers Agents. Finding an Arizona buyers agent is a critical first step to take early on…before revealing personal information that could hinder the buyer’s bargaining position in the transaction. Bottom line, Scottsdale luxury home buyers should have, exclusively, a Scottsdale buyer’s agent to take them from house hunting to closing. This relationship does not cost homebuyers anything (because the seller typically pays commission to both the seller’s and buyer’s agents) and ultimately saves the buyer thousands of dollars in the price of a home. Not just any broker, Exclusive Arizona Buyer Agents ensures full representation and protection for the Scottsdale luxury home buyer. Because it’s not just any home.